Congratulations on a good effort to all OAs who took part in The Halford Hewitt this year. 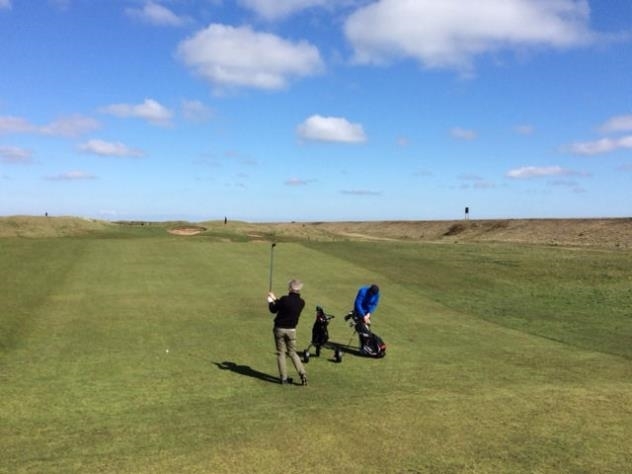 Founded in 1924, this popular tournament is competed for today by the old boys of 64 English and Scottish public schools which each field five foursomes pairs, making 640 competitors in all. The sheer size of the "field" - plus the hundreds of supporters who routinely turn up - is part of what makes the "Hewitt" a unique sporting event. The tournament has a rich history, frequently pits average golfers against famous internationals, and produces moments of golfing pressure simply not experienced by amateur players elsewhere. Many thanks to Ian Eggleden (SHE1958-63) for preparing a full report on the OAGS performance, which is posted below.